What are cancer prevention foods? Some good examples include tomatoes, flax seeds and the turmeric spice. All of them are foods that prevent cancer. They also heal, are high in fiber and are anti-inflammation. These foods are designed by nature to prevent cancer. They are part of the healthy eating plan. 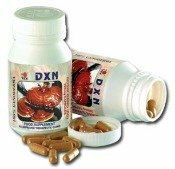 can be your powerful means of prevention of other life-threatening diseases as well. Here's the list on foods to prevent cancer. . .
Do you love eating fresh and succulent tomatoes? Tomatoes are bursting with carotenes particularly lycopene. Tomatoes are full of nutrients especially when ripe. The red ones contain more beta-carotene than the green ones. And they are also packed with vitamins C and K, biotin,vitamin B6, niacin, folic acid, fiber, and pantothenic acid. 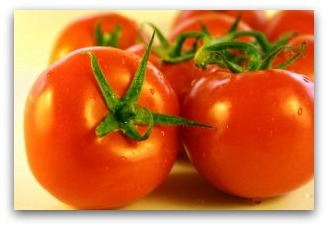 Tomatoes are considered as cancer prevention foods because of the lycopene they contain. Studies have found that lycopene is extremely effective against the leading types of tumor. How does lycopene do this? Lycopene neutralizes harmful oxygen free radicals before they can do any damage to cell structures. And according to the NCI, cooking tomatoes enhances the prevention effects of lycopene. So, go ahead and cook your dishes with nutritious tomatoes. Flaxseeds are similar to sesame seeds, only slightly bigger in size. There are many health benefits of flax seeds. The ground variety is better in terms of healthy nutrients because it is easily absorbed by your body. How are they part of the list of cancer prevention foods? It's because they belong to certain foods that are exceptionally rich in alpha linolenic acid (ALA), an omega-3 fat. Omega-3 fats are needed by your body to produce prostaglandins. Prostaglandins are molecules that fight inflammation. They help lessen the inflammation that significantly contributes to diseases like tumor, asthma, migraine and osteoporosis. The prevention effect of Omega-3 fats is particular in reducing risk for precancerous polyps. Omega 3 fats help protect the colon cells from carcinogenic toxins and free radicals. Turmeric is a yellow-orange spice that is very popular in Indian and other Asian foods or cuisines. The active ingredient of turmeric is curcumin. Curcumin is a potent antioxidant that showed prevention effects of almost all stages of tumor growth. During the 90s, researchers from the University of Texas MD Anderson Center looked into curcumin's prevention properties against inflammation. They studied its impact on skin tumors. They found out that it works by blocking a pathway needed by tumors in the skin to develop. Use turmeric powder as often as you can in your cooking and take advantage of the health benefits of this powerful spice. Here's one to try: Indus Organic Turmeric (Curcumin) Powder Spice. It may also be effective in treating ulcerative colitis -- one factor in what causes colon cancer. And in 2007, Chinese scientists found out that the compound can dampen the hormones that trigger the start of abnormal cells in the prostate. A further evidence on how powerful turmeric is are studies showing India has the one of the world's lowest rate for tumors in the prostate. 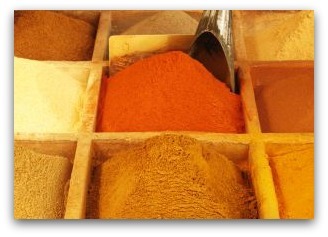 It is not a coincidence that India consumes most of the turmeric in the world. According to the IARC, only 5 out of 100,000 Indian men are diagnosed with tumors in their prostates yearly. Now that you have an idea what foods can prevent cancer. Fill up your plate with these cancer prevention foods and enjoy the benefits of preventing a whole lot of other diseases.